Group of FOUR Jewish interest books to include; “The Ethics of Judaism”, By M. Lazarus, Ph. D. Translated from the German by Henrietta Szold. 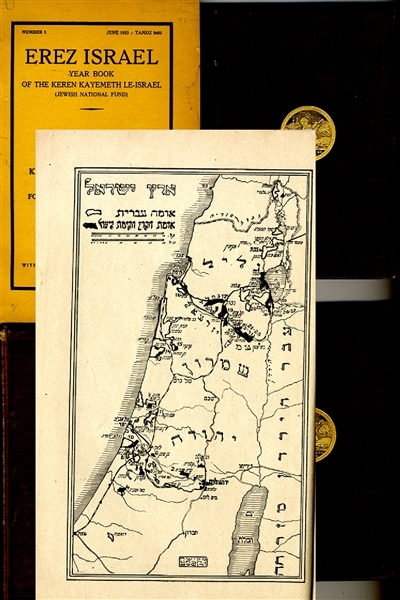 published by the Jewish Publication Society, Part I, 1900, Part II, 1901 ... plus, “Jewish History, from the Close of the Biblical Records to the Present Day,” Rabbi Sigmund Hecht, 1896 hard-bound, 280pp., VG.. .. plus, soft cover, “EREZ ISRAEL”, June 1923, with map of Israel, 203pp.VG.